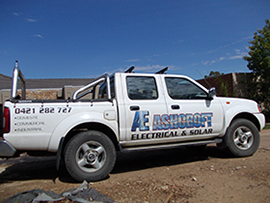 Ashcroft Electrical - Solar Services . 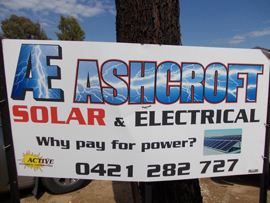 . .
Ashcroft Electrical offers a number of solar and solar-related services. 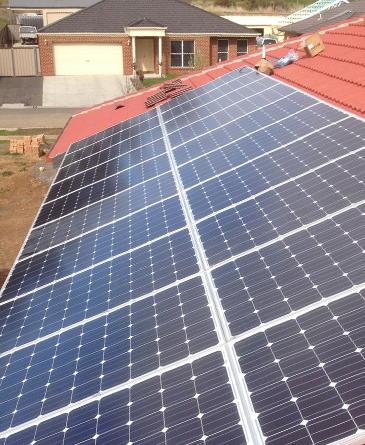 If you know that you want solar installed or are just thinking about it, Ashcroft Electrical should be your first stop. Have you ever wondered if going Solar is for you? Ashcroft Electrical can help provide you with the details you need to make an informed decision. We will measure your roof top, determine the best installation location and estimate your electricity cost to determine the best amount of panels. We can provide you with an estimated power saving costs after solar installation, answer any questions you may have and show you how easy it is to make the switch to a solar panel system. inform you everything you need to know about your new solar system, so you are comfortable with how it works. Solar, typically made from silicon alloys, convert the sun's energy in to DC electricity. Strings of cells are encased in a rigid frame and connected together to make up a solar panel. 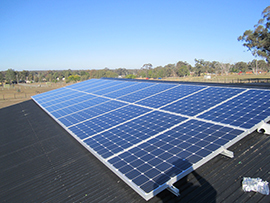 Panels are typically installed on a rooftop to maximize their exposure to the sun. 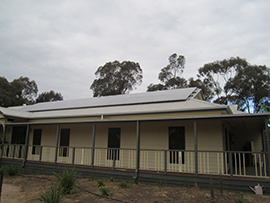 Multiple panels are required to meet the electricity requirements of an average household. Racking for home solar power installation is placed just above the existing roof. Racking connects through small penetrations into footings, which are mounted directly into the roofing truss, which is the strongest part of the roof structure. The DC power that is created by the solar panels is sent to an inverter, which converts the power to AC electricity, which is the type of power that is used in the home. The utility meter is an existing part of your electrical system and serves to monitor your electricity usage. Once your solar power home system is connected, your utility meter will now serve a dual purpose: it will also track the amount of electricity that you generate in excess of your usage. Amounts generated in excess of your usage are fed automatically back into your Electricity Companie's grid, becoming available for use by others (donâ€™t worryâ€”you get credit for this! ).